A state as well as a peninsula, Yucatán is the northern part of the Yucatán Peninsula. If that sounds a bit confusing Cancun, Cozumel and Tulum are to the south in Qunitana Roo, and Mérida is at Yucatán state’s heart. Being the largest city, a number of our Guru’s recommendations for the best places to stay in Yucatán are in Mérida, but there are also some wonderful hidden resorts and haciendas and these are fantastic options if you’ve come to this part of Mexico to explore the jungle and the relics of the ancient Mayan civilisation hidden within. 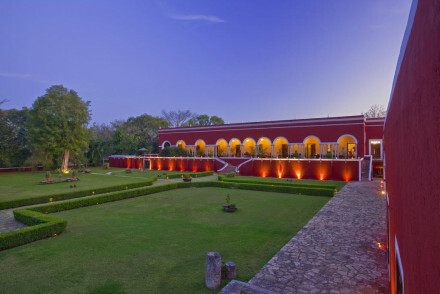 Many of the great haciendas of Yucatán grew rich from growing a special kind of plant used to make super strong rope, which was extremely popular in the 19th century. In the early years of the 20th century Mérida was home to more millionaires than any other city on the planet. Mérida retains a wonderful colonial feel, partly due to the jungle setting and the architecture and partly from the climate. It is tropical, so people get most of their work done in the morning, take long siestas in the afternoon and come back in the evening when the cooler breezes roll in off the Gulf of Mexico. The Chichen Itza, the Yucatán’s largest and most famous Mayan ruin - and included in the list of the New Seven Wonders of the World. Ek Balam is also close to Valladolid. Uxmal, the other major Mayan site, is just south of Mérida. And of course there are the beaches. These are similar to those on the southern side of the peninsular, but generally less crowded and dare we say it, a bit more romantic - assuming your idea of romantic is peaceful and beautiful - and less mass tourism. Don't miss the Ruins of Tulum - the site of one of the last cities built and inhabited by the Maya. The ruins have a beauty about them and are amongst the best-preserved in existence. 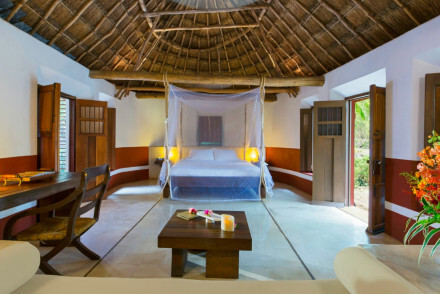 The Hotel Guru's selection of the best places to stay in Yucutan encompass everything from absolute luxury to bases ideal for explorers - so don't hesitate to book one of these gems for your dream holiday. Also in central Mérida, Casa Lecanda is a smart, seven room property with tiled floors, high ceilings and large bathrooms. There is an outdoor pool, a wine bar and a restaurant serving international cuisine. Just outside Mérida, the Hacienda Xcanatun is a beautifully renovated, 18 room hacienda with traditional decor and some lovely antiques. 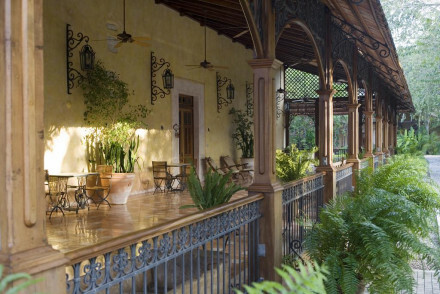 The hacienda has two freshwater pools, a fabulous spa and a renowned gourmet restaurant. You’re also very well located for exploring Mayan ruins. 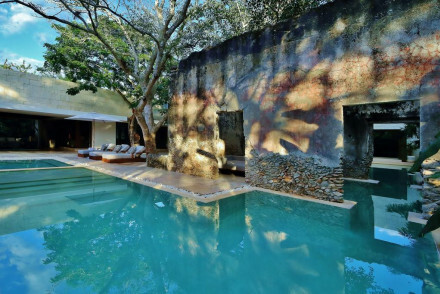 Chable Resort is a luxurious, 43 room property hidden in a stretch of jungle. Converted from a manor house, there’s now a choice of staying in rooms or suites within the house or staying in one of the outlying private villas which come complete with their own swimming pool. There’s a stunning spa and three restaurants. The Hacienda Temozon is a beautifully converted estate with 28 luxurious, colonial style rooms and some lovely antiques along with the traditional tiled floors and wooden shutters. There’s an enormous pool and a spoiling spa. The restaurant serves local cuisine. And you’re close to Chichen Itza. 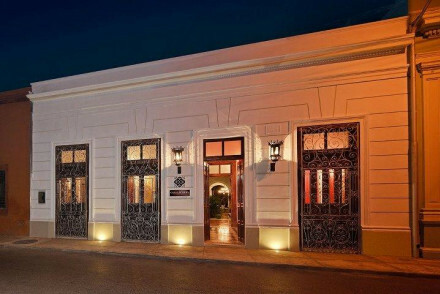 The Hotel Hacienda Mérida offers fabulously stylish accommodation just a short walk from the main square. A traditional exterior belies contemporary interiors plus a bar and two pools. Rooms start from around £65 per night. If you'd prefer your own space, don't hesitate to visit our online partner Booking.com for a great selection of properties scattered throughout the region. Best time to visit - December to April offers typically dry and warm weather ideal for enjoying the beaches, ruins and everything else. A beautifully converted estate offering the height of luxury. 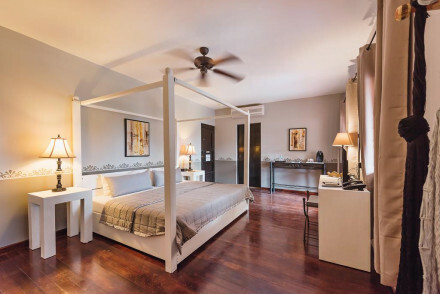 Colonial styled rooms are all high ceilings, antique furniture tiled floors and wooden shutters. An enormous pool is ideal for lazy days and the spa is totally spoiling. 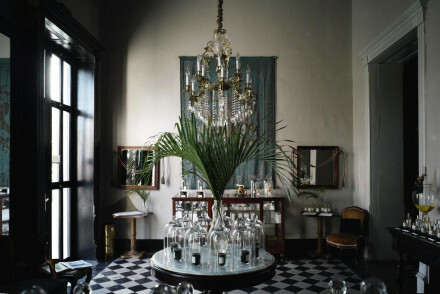 Sample Yucatecan cuisine in the candlelit restaurant. Fabulous. Country Escape - A converted estate holding onto its original charm yet with plenty of contemporary luxury. Sights nearby - Make a trip to the Archeoligical site Chichen Itza. A luxury property hidden amidst a forest. Stay within the converted manor house or hire a private villa complete with swimming pool. A stunning spa will aid total rejuvenation. The three restaurants serve gourmet cuisine using organic produce. The ultimate spot to 'get away from it all'. Foodies - Fine dining with produce taken from the property's Mayan garden and housing the world's largest tequila collection. Country Escape - Deep in the forest revel in utter tranquility and luxury. Sights nearby - Explore the nearby mystical Mayan ruins.